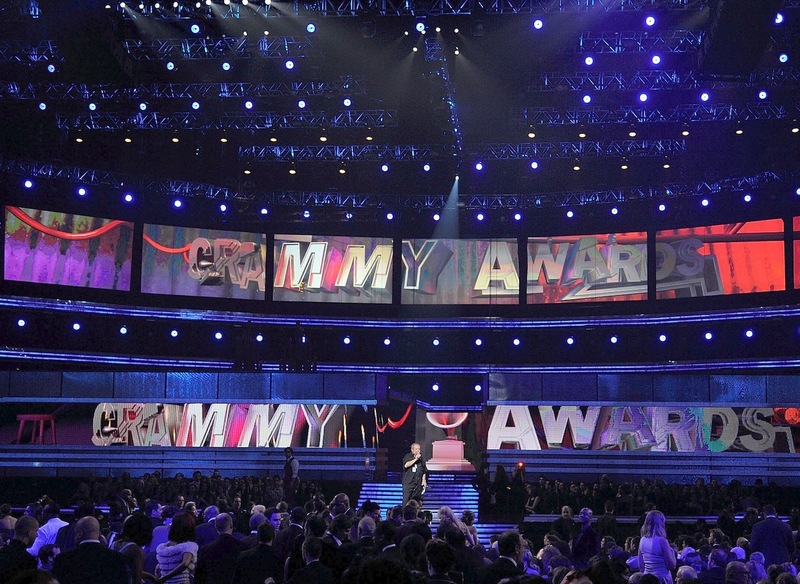 On a night full of surprises, JBL Professional loudspeakers were once again called upon at the 53rd Annual GRAMMY® Awards to ensure predictable, high-quality live sound and audio for television broadcast. 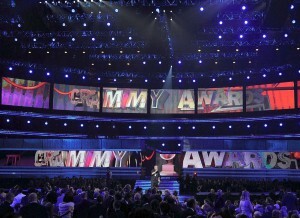 Held at the STAPLES Center in Los Angeles on Sunday, February 13, the GRAMMY Awards were broadcast live in HDTV and 5.1 surround sound on the CBS Television Network. As it has for the past several years, ATK Audiotek of Valencia, California provided JBL VERTEC® line arrays for live sound reinforcement, while JBL LSR studio monitors were used in the critical listening room for the telecast. The annual GRAMMY Awards telecast, known as Music’s Biggest Night®, is presented by The Recording Academy® to honor outstanding achievements in the production and performance of recorded music. This year’s awards were marked by a variety of elaborate stage productions bringing together some of the biggest names in music today, including Lady Gaga, Eminem, Rihanna, Bruno Mars, Lady Antebellum, Cee-Lo Green and Katy Perry. Lady Gaga and Eminem both earned multiple GRAMMY Awards, while Arcade Fire won Album Of The Year for The Suburbs.